Photo of the accident scene taken by Ben Seru yesterday afternoon April 14, 2019. Police confirmed the victim was heading to Nadi International Airport. 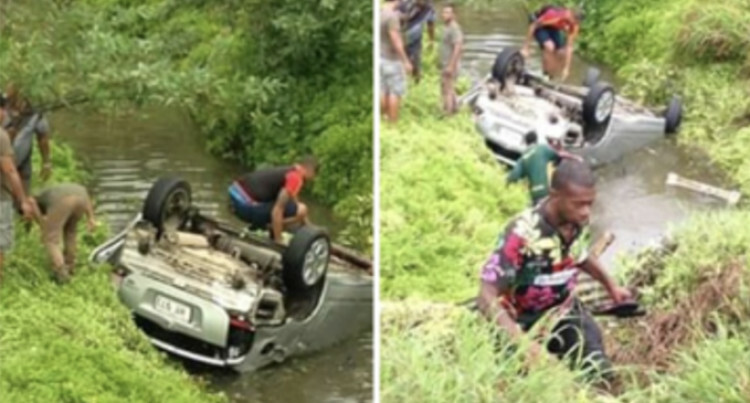 “She allegedly lost control of the vehicle she was driving causing it to veer off the road near Yarawa, Serua yesterday afternoon.